In a Windows application are listbox control provide one of the most important part to provide data in a list format In this article I will show you how you can remove selected item from listbox c#.net and vb.net. Here is the article in which I have shown how to move single item at a time from one listbox to another listbox Transfer Listbox Items to Another Listbox Using C#.Net and VB.Net | How to Move List Box Items to another List Box in C# . 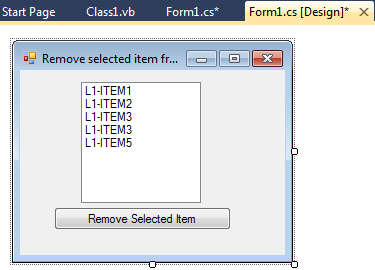 For removing multiple selected item from list box here is the article How to add/move multiselected items from one listbox to another listbox in C#.Net and VB.Net , C# multiple selection listbox move Using C#.Net. 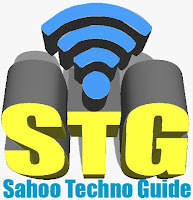 So for this article first you create a new windows application and add listbox control and button control to remove the records. Here is the code to remove selected item from listbox. In this we have written code on button click. In above code we have applied loop to check which item in selected and if it’s selected on that case we are removing item from listbox1.